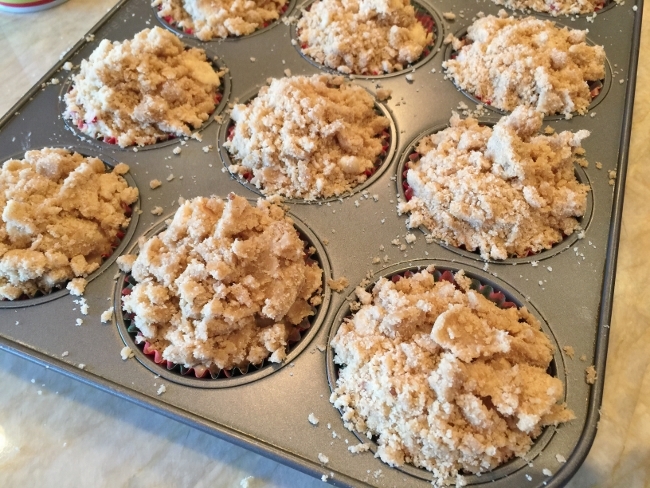 Cranberry-Crumb Muffins - Recipe! - Live. Love. Laugh. Food. 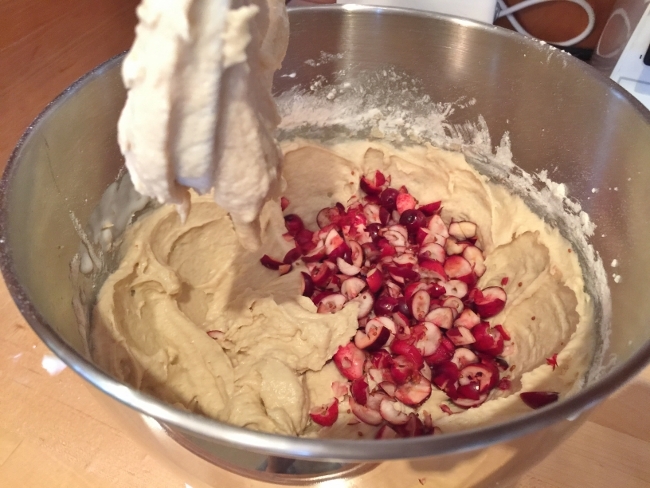 Cranberry season is a small window of time from late fall to early winter and these little scarlet balls make more than sauce, they are great to add to baked goods; like you would traditional summer berries. 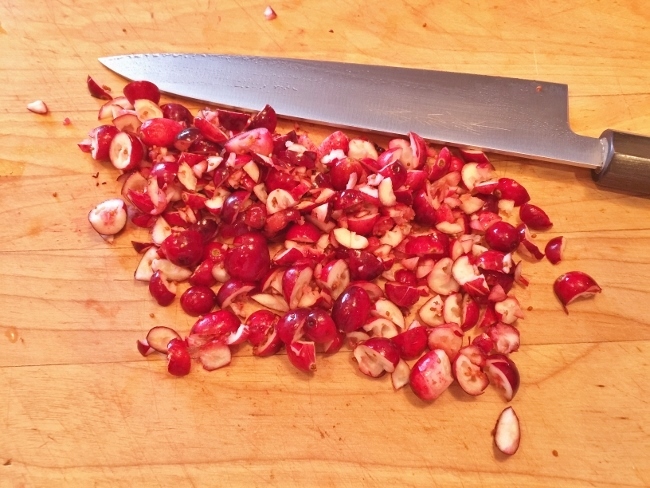 The tart taste adds a contrast of flavors, similar to other sour fruit, but unique to this wintertime berry. Fresh cranberries can be found in bags during this season and it’s a good idea to roughly chop them first, before adding them into a batter. The ruby flecks folded into an off-white batter gives this treat a swirl that’s gorgeous to witness, but also provides a bite of tang inside the sweetened crumb. This muffin recipe has a crumbly topping which is similar to a French Apple Pie, especially after baking. 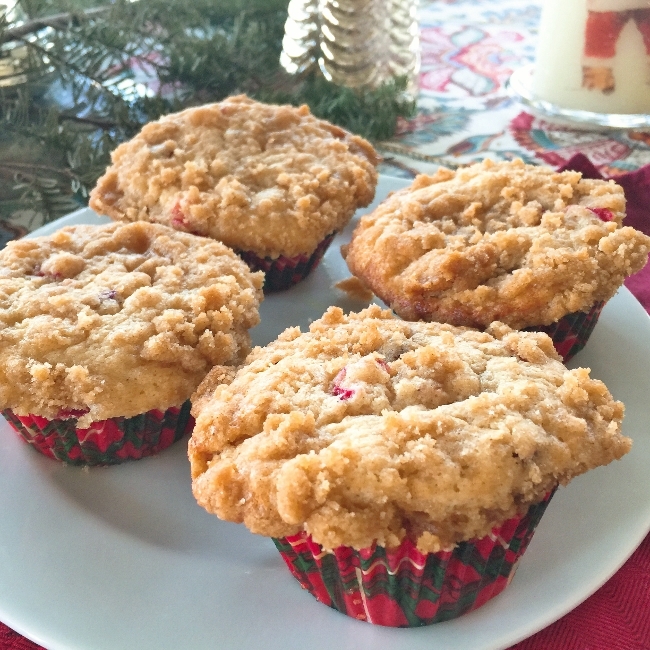 The streusel-like mixture is a delight to bite into before you reach those cranberry pieces – I think this recipe will definitely brings a little ho-ho-ho into your brunch experience. 1. Preheat oven to 350 degrees. Line muffin pan with cupcake liners. In a stand mixer, cream butter and sugar for 4 minutes. Scrape down sides of bowl and add vanilla extract. Mix on high for 2 minutes. 2. Add eggs and mix on high for 3 minutes. Scrape down sides of bowl and add flour, baking powder, baking soda, salt and cinnamon. 3. While mixer is running on low speed, add buttermilk and mix for 1 minute. Add chopped cranberries and mix again for 30 seconds, remove bowl. 4. Scoop batter with an ice cream scoop into lined muffin cups. In a small bowl, add sugar, brown sugar, flour and cinnamon, stir. 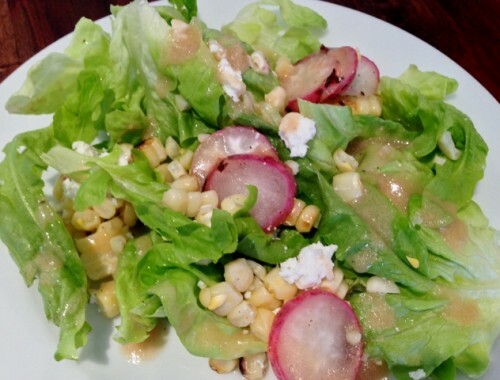 Add diced butter and using your fingers, squeeze mixture together until it resembles coarse crumbs. 5. Spoon topping on top of each muffin and bake in oven for 20-24 minutes, or until light golden brown. Remove from oven and let cool in the pan for 15 minutes. 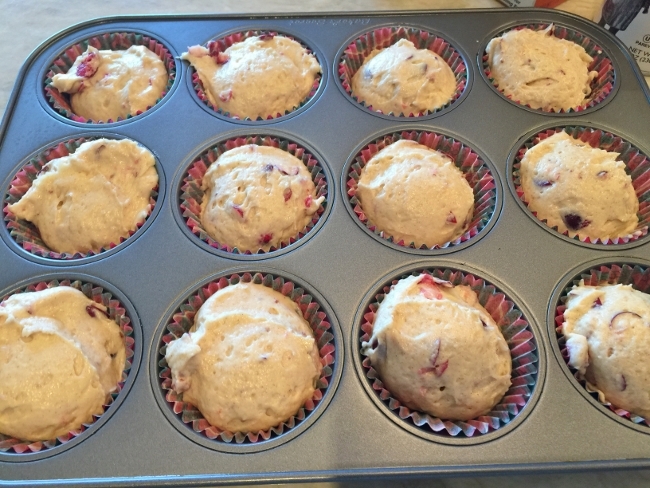 Remove muffins from pan and serve warm, Enjoy! 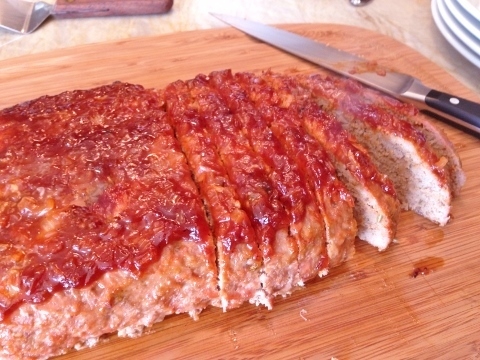 Turkey Meatloaf with Spicy Tomato Glaze – Recipe! 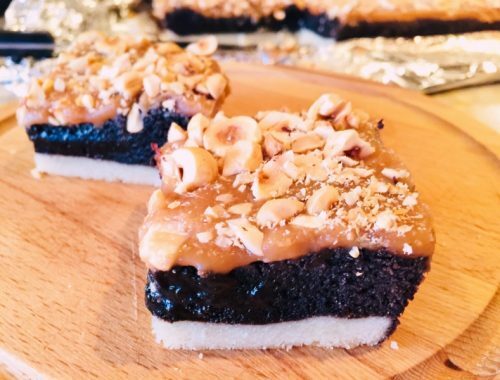 Turtle Brownie Bars – Recipe!